AP; iStock; Skye Gould/Business InsiderThe fate of MH370 has become one of the world’s biggest aviation mysteries. The Malaysian government in July issued what was supposed to be the definitive report on the disaster – but provided very little in the way of answers. Relatives of those on board were left angry and called for the Malaysian government to release satellite data so others can analyse it. The branch of French police that deals with airport security and aircraft terrorism will launch a probe to look at the satellite data, French newspaper Le Parisian reports. But the French government has not formally announced an investigation. France has opened an investigation into the fate of missing Malaysia Airlines Flight MH370 after years of investigations spearheaded by other governments failed to find the plane or determine why it went missing. The “final report” into the plane’s fate was released in July 2018 with few answers as to what might have happened when it disappeared in March 2014 with 239 on board. 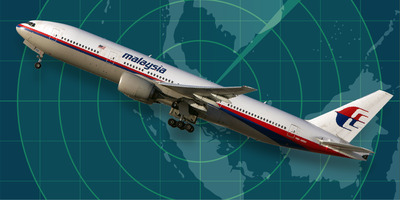 The report concluded by saying that authorities “cannot determine with any certainty” what happened to the plane. French newspaper Le Parisien now reports that the Air Transport Gendarmerie, which works on airport security, will launch its own investigation. Investigators will look to verify technical data transmitted from the flight including data from Inmarsat, the British global satellite network which tracked the airline. Immarsat tracked pings from the plane to the southern Indian Ocean off the coast of Australia, where the plane is believed to have crashed. France will re-examine “all the technical data” provided by Inmarsat in order to “verify its authenticity,” Le Parisien reports. Relatives of those on board have been deeply frustrated by the few answers provided by years of investigations headed by the Australian and Malaysian governments and expressed their anger when the latest report offered few new answers. Voice 370, a group comprising of and acting for relatives of those lost on MH370, called on Malaysian authorities to “share all available data with independent experts for a thorough peer review and analysis” in a statement released on Tuesday. The latest report revealed that air traffic control in Kuala Lumpur did not follow proper procedure on the night that the plane disappeared, prompting the chief of Malaysia’s civil aviation authority to resign. But the report provided little tangible evidence about the plane’s fate, it did refute some popular theories, including the idea that a suicidal pilot may have crashed the plane on purpose and that the plane’s cargo could have caused an explosion that downed the plane. A spokesperson for the Gendarmerie confirmed to Business Insider that France was still investigating the crash, and has been doing so since 2014.